When performing a rig move, GISI supplies all of the needed trucks, low bed and cranes as well as truck pushers and laborers on site. Given our past experience, GISI is well known for our speed in rig moves and minimal downtime combined with the highest professionalism and safety. 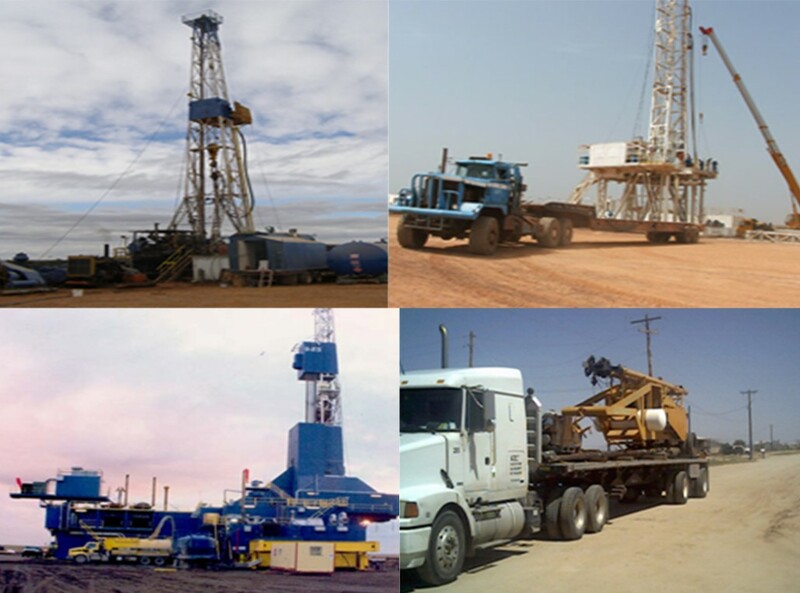 Inland transportation services for equipment and materials needed for the oilfield operations are also offered by GISI. From Site to Site: Complete Rig + Camp moves , Block-Trains Shipments , Full Sea/River Vessel , Trucking to Site , Rig Storage Facilities, and Rig Move Handling from “Site to Site. Equipment Rental for Rig Operations: Cranes , Forklifts , Field Camps Generators and compressors. The services GISI provides to clients are many and vary according to the type of project being executed. Since 1998, we have successfully completed 13 contracts and projects for our clients , GISI Management places emphasis on service and quality because it is what makes GISI unique. Getting the job done is not enough; we instead strive to be the best at everything we do. We are never satisfied with our current performance. We are constantly evaluating how we can better serve our clients.